Welcome to the big time, Subaru. Subaru has been on a major sales streak over the past few years. In fact, it’s now boasting record profits. The popularity of standard all-wheel-drive along with outstanding build quality and solid value for the money are a winning combination. Because of this, Subaru has just announced some big plans over the next few years, most notably its goal to increase sales twenty percent by 2020. 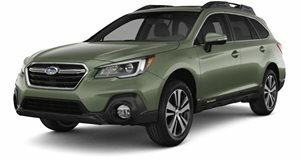 In order to make that goal happen, Subaru is also planning to launch a new vehicle platform along with more fuel-injected models. 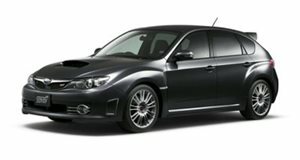 Beginning in 2016, there will be a new platform called the Subaru Global Platform, which will underpin most new models, such as the next-generation Impreza and Outback. It’ll officially debut in the next-gen Impreza. As long rumored, a large seven-seat crossover will also debut no earlier than 2016, essentially replacing the Tribeca. What’s more, Subaru will soon begin converting all of its gasoline engines to direct injection. Cylinder deactivation and lean combustion cycles will also be added. In 2018, a plug-in hybrid model will debut in North America with Toyota hybrid technology, but we don’t have any idea what body style it’ll have just yet. To handle the new models and increased production, Subaru will greatly expand output at its Indiana assembly plant. With demand increasing consistently in its biggest market, North America, Subaru is making sure to build enough cars (a problem from the recent past) and to continue with its quirky, outdoorsy image. You can’t mess with success, after all.